The new releases of PhotoMap and EagleEye come with a new navigation bar that you can slide in from the left side of your device. On the bar you’ll find the additional menu item ‘All’ that makes it easier to view all your photos. 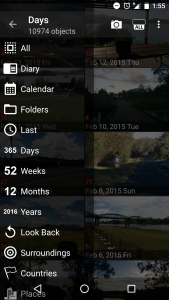 In PhotoMap you can also find the new grouping option ‘Look Back’ that shows you photos that were taken today one month, two months, three months etc. ago. 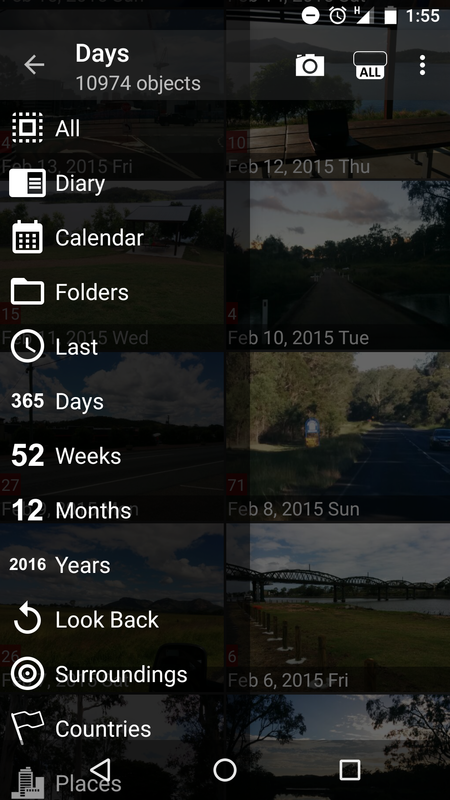 The new item ‘Surroundings’ groups your photos by distance from your current location. It’s great to easily find photos nearby. Another new major feature of PhotoMap and EagleEye is the ‘Network Drives’ option in the settings. It enables you to access photos stored on your Windows PC (a shared directory) or on a network hard disk. You can copy photos on your device or you can copy them to a network drive. 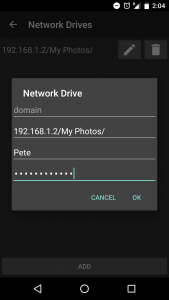 Generated preview pictures remain accessible even if you’re currently not connected to your network. All photos will be grouped as with your local photos. 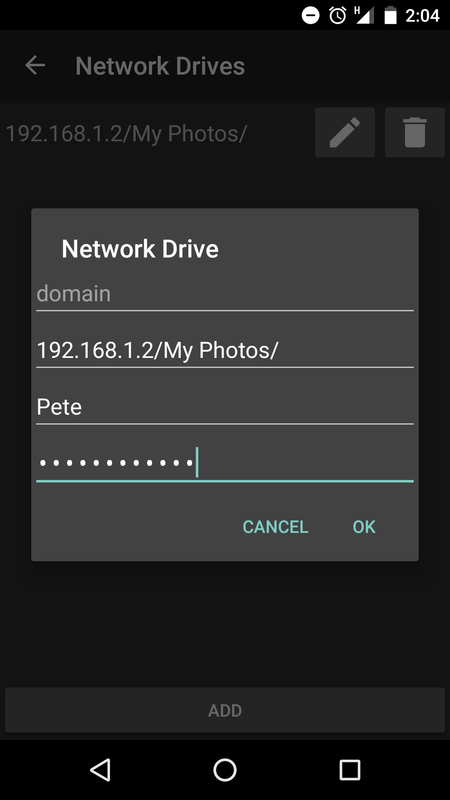 I just bought the PhotoMap App and tried everything to get access to shared network drives on my network. I am not sure what I am doing wrong. All my devices and PCs on the network see the shared drives, but when I create one in PhotoMap, nothing happens.